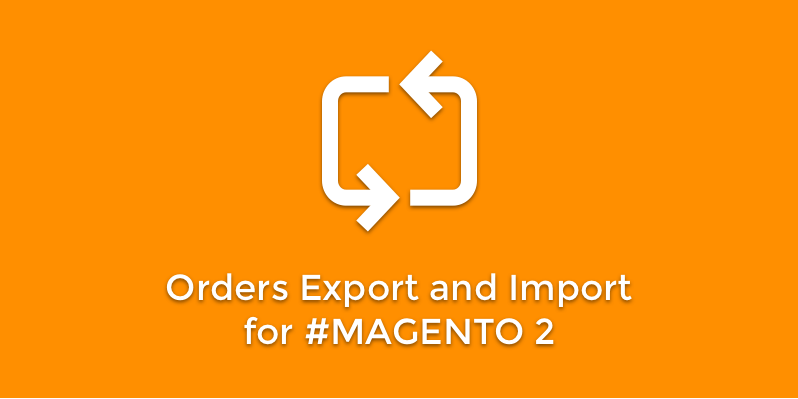 Orders Export and Import for Magento 2 – is a flexible extension to migrate data between Magento versions and a third-party software in various formats. Orders Export and Import has a great reputation and thankful feedback, using for Magento 1. Now this multifunctional tool is available for Magento 2 to transfer data without any breakdowns. Let’s get a short review. Naturally, you can have a lot of questions before starting using the extension. And at this article we try to answer to these questions. Usually Orders movement is a time-consuming process, but not anymore. Orders Export and Import by Aitoc gives you a chance for safely migration of all the order data and attributes, tailored to exporting / importing Orders (Invoices, Credit Memos, Shipments and Transactions). The effortless importing from Magento 1 into Magento 2 is the main advantage. You can do it by uploading an appropriate file and using toggle button. Thanks to the extension there will be no duplicates in Orders data. Control them using the setting Import behavior, where you can append and replace complex data or delete entities. Controlling and checking all migration processes in the History tab, you will always know about occurring errors, that is why the History tab is your individual helper. Automatic export for files saves your time. Make the settings one time and don’t think about it any more. You can export automatically after the order was made and after the invoices for all products in an order was created. What is more, try to use cron settings to export automatically through a time-based job scheduler. During manual export, you don’t need to reload and refile your profiles. You simple select them at Orders Grid and then choose a particular action to use. New data format – Advanced CSV / Tab separated – is useful when you need to edit data after exporting them at your computer. We give you not only a 30 day money back guarantee to fully enjoy the extension using, but also and email support. Moreover get free updates for 6 months. Don’t forget that you need appropriate extensions, if you use Magento 2 migration service. As far as modules for Magento 1 can’t be used for Magento 2, we are fully occupied with the updating process. The extension is here: https://www.aitoc.com/ use the link for more information. We are looking forward to your feedback.